“Today is your day, and you’ll be going on to new and exciting places,” said Caitlan Coleman, Student Government Association President and student speaker at the ceremony. Dr. H. Lee Cheek, Dean of the School of Social Sciences at EGSC, was selected to give the commencement address by the students. He also spoke on how setting goals is easier than reaching them, and that ultimate purpose is more important than persistence or determination. “Try and think of what is most important to you and your family,” he said. “We are very honored by you, ladies and gentlemen, and your success,” concluded Dr. Cheek. During the ceremony, EGSC conferred Associate in Arts degrees to the following graduates: Cynthia LaVonne Adams, Morgan Leigh Allen, Gabriella Anthony, De’Asia Kierra Baker, Angel Alicia Beasley, Melina Victoria Bell, Jamye Lynn Bellamy, Candace Marie Blair, Hallie Nicole Blizzard, Justin DeVante Boatwright, Amanda Elizabeth Grace Bragg, Jasmine Victoria Brewton, Kayla Susanne Bridges, Chas Lamar Britton, Jasmine Alexia Brown, Tamarin Sheree Burkins, Tiquaya Desiree Cain, Donovan Zachary Carpenter, Jalesa Jaquia Carroll, Krysta Daniell Castellano, Corran Castle, Charles McMillan Chappell, Jr., Spencer Bryce Clark, Kaylyn Moss Clifton, Jodie Ann Collins, Jodie Lane Cobb, Samuel Owen Coffey, Heather Ruth Correll, Jolie Ann Crapps, Jamal Rashaad Cummings, Ryan Tyler Dague, Hillary Anna Davis, Mamie Pearl Davis, Alyse Marie Deen, Ansleigh Caroline Dickey, Tahir Khalid Dulaney, Dante Antonio Edwards, Joel David Elder, Taylor Marie Ellis, Christopher Flores, Keith Joshua Foreman, Kaitlin Marie Frederick, Sarah Marie Fulghum, Sadik Malik Gaskin, Jaclyn Katherine Gibson, Alyssa Diane Gilfoyle, Terrance Bernard Glenn, Joanna Marie Gonzalez, James Tyler Good, Brittney Tiara Goss, Stephen Tucker Graham, Brian Tyler Grooms, Emerald Brooke Hambrick, Ki’Monsha Kionna Hayton, Katheryn Denise Head, Kimberly Bell Heath, Ann Marie Hendley, Emily Katherine Hendley, Justin Marshall Holland, Lacey McCay Holliday, Tyler P. Hooks, Shea Victoria Houston, Reid William Hudson, Gabrielle Presley Hudson, Margaret Leigh Hutcheson, Keyry Teresita Jimenez-Santana, Christopher Matthew Johnson, Ashley Mischon Jones, Antoina Quinkesia DeBre Jones, Neko Antonio Jones, Adonis Larry Jordan, Harina Mender Kesete, Antoinette Yolanda King, Damon Owen Knighten, Meghan Ann Lacienski, Valerie Jeneen Lanier, Jordan E. Lawson, Preslie Fay Lewis, Long Ngo Lieu, Sabrina Joyce Lindsey, Jesse Garrett Little, Teara Olivia Matthews, Melissa Brooke McBride, Jordan Everette McCormick, Heather Rebekah McCullough, Faith Theodosia McGee, Morgan Dale McNure, Jerrika Jeameia McRae, Sarah Madison Mercer, Cameron Jarmaal Mills, Heaven Lei Mixon, Rebekah Lauren Mock, Megan Nelms Montford, Michael Patrick Moran, Shaylyn R. Morris, Jaquez Motley, Lauren Elizabeth Murphy, Kayla Brooke Odum, Brandon Burley Page, Samantha Jo Page, Arpil Kumar Patel, Vianey Perez, Heather Gabrielle Peterson, My’ya Unique Phillips, Graciela Pina, Robert Joseph Poole, Takiera Anita Porter, Kristen Hillary Powell, Travell Donte Primus, Juan Jeronimo Rangel, Christine Alexandria Ray, Rodneshia Deshell Rhodes, Gregory Alexander Richard, Jeremy Douglas Riggs, Samuel Palmer Rivers, Symone Nicole Robinson, Atziri Abigall Rodriguez, Elon Faizah Ross, Joshua Timothy Roye, Anaisai Saucedo, Ladeshia Shaquna Simpkins, Caitlin Abbie Smith, Christian Nicole Smith, Dannielle Treshon Smith, Katherine Jones Stickle, Blake Meldon Stone, Rickea Chante Tarver, Ashley Annisa Taylor, Lewis Temple, Shalanda Shanta Thornton, Whitney Lynne Tucker, Matrude Denise Turner, Samantha Ashton Van Dyke, Edwin Jose Velazquez-Fontanez, Cindy Sharane Wadley, Kimberlyn Ware, Brianna Jo Watson, Chelsea Caraway Welch, Tamara Jenee’ White, Aneytraei Monae Williams, Douglas Griffin Williams, Arielle Rhea-Lynn Williamson, Faith LaJoy Williamson, Kavarick Keondraye Wimberly, Carter Lee Wray and Daisha Yanai Wright. 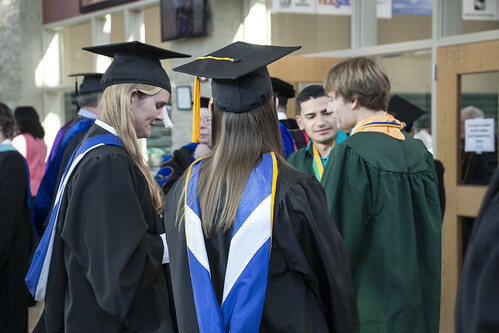 Three Bachelor of Science degrees were also conferred to Dana Michelle Bedgood, Hunter Evans Gay and Regan Ashley Phillips.